Wanted something a little different for lunches this week. So while I was prepping dinner the other night I marinated two diced chicken breasts in red wine vinegar, pickled jalapeños, garlic, basil and some black pepper for about an hour. I then sautéd it in some olive oil and a bit of butter. Made a tangy chicken in its own vinaigrette sauce. 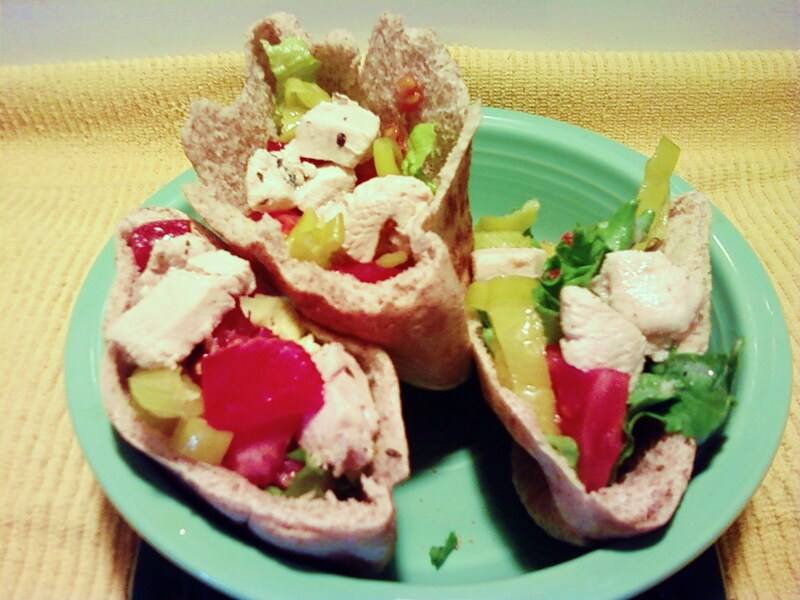 I then chopped up some tomatoes and lettuce and put everything in separate containers, ready to throw into the lunch bag and assemble at work in pita bread. I topped it all off with a little bit of buttermilk dressing and some peperoncini peppers. Really turned out nicely and I will do it again.